As you may know I absolutely adore the YSL lipsticks! I have only 3 of them but still they are my favorite lipsticks. This shade is a bright fuchsia pink on my NC 40 skin tone. One of the brightest lipstick I own. I brought this through strawberrynet.com and it costed me $34( I still saved $21 with the Australian market price being $55). It is the most prettiest sight ever! Sigh I just cant get over it!!! It smells rosy and beautiful. It lasts 4-5 hours without eating or drinking. Does not dry up the lips. After 5 hours it stains but doesn't completely wipe off. It is not matte but it is not glossy either, just a pretty sheen. 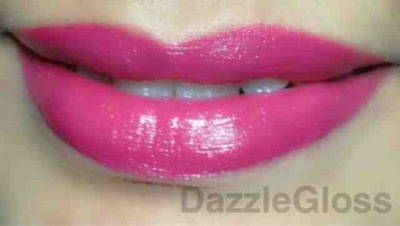 The following swatch is just one swipe of the lipstick on my lips. 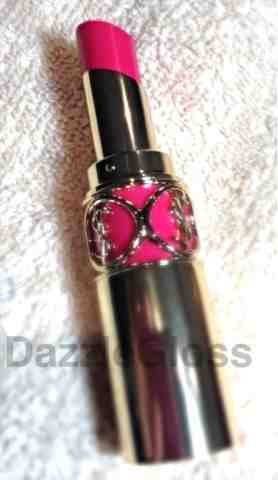 It is extremely pigmented and will definitely last me a very long time. I will prefer using a lip brush rather than directly applying it straight from the tube as it is a dark colour and to get the perfect shape of the lips, a lip brush gives more control. 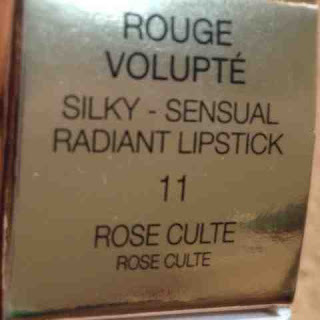 I am totally in love with the Rouge Volupté line and will definitely pick up some more gorgeous shades soon. Have you tried them??? Which color?? Let me know in the comments below.